Mexican ingredients can be hard to find in Australia, which is a shame because their food is amazing and it quite suits our climate, plus I love Mexican food and wish I could eat it every day. Over the years I have found a number of good foreign food shops around Brisbane and I’m often found stocking up on herbs and spices, nuts and beans, or condiments and unusual ingredients. I don’t feel out of place in my favourite Indian store in McWhirters in the valley turning to K and asking “do we need more upma and idli mix?” or “how many bags of edamami and cans of kickapoo?” at Yuen’s around the corner. For more European ingredients I head to Woolloongabba (that’s a place in Brisbane if you’re not Australian, and yes, we know it’s may sound funny to you). 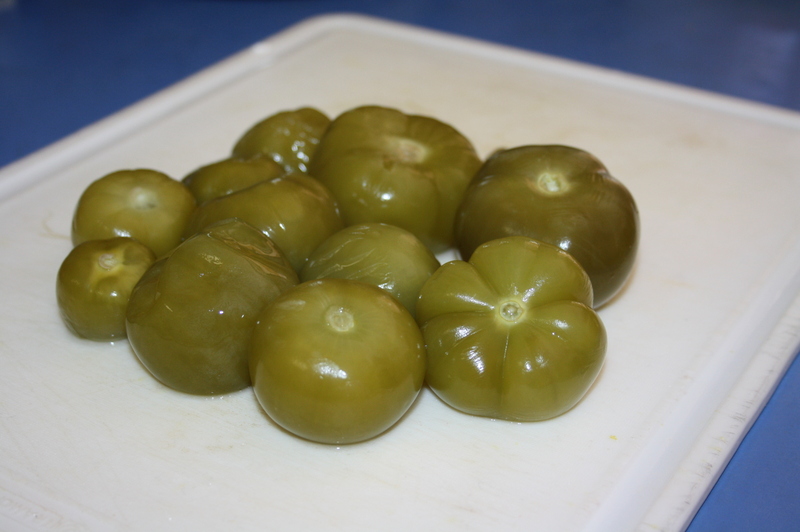 On a recent trip I picked up a can of tomatillos because I didn’t like my chances of getting fresh ones here. I really enjoyed them in a couple of Mexican themed salads I made, but then I had most of a 30oz can left. 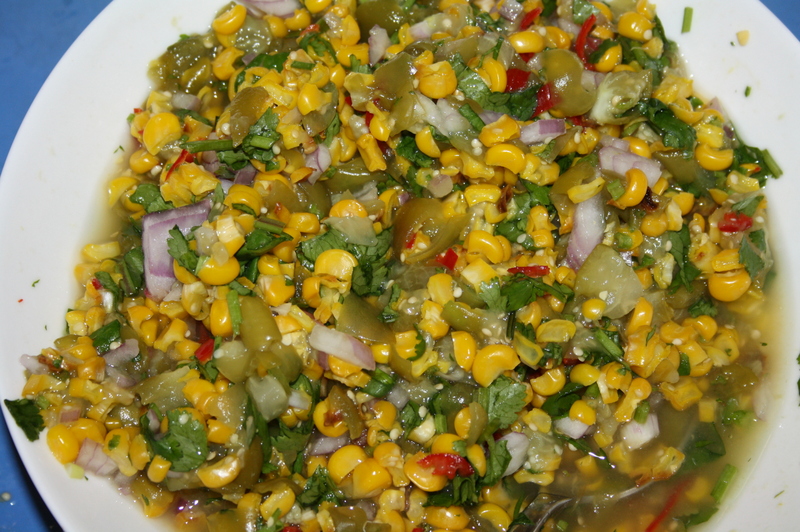 So K and I set about making the most superb nachos we’ve ever eaten including this toasted corn and tomatillo salsa. This was fantastically light and zingy against the rich, hearty chipotle beans; likewise it made an excellent dip that was also good for the waistline. 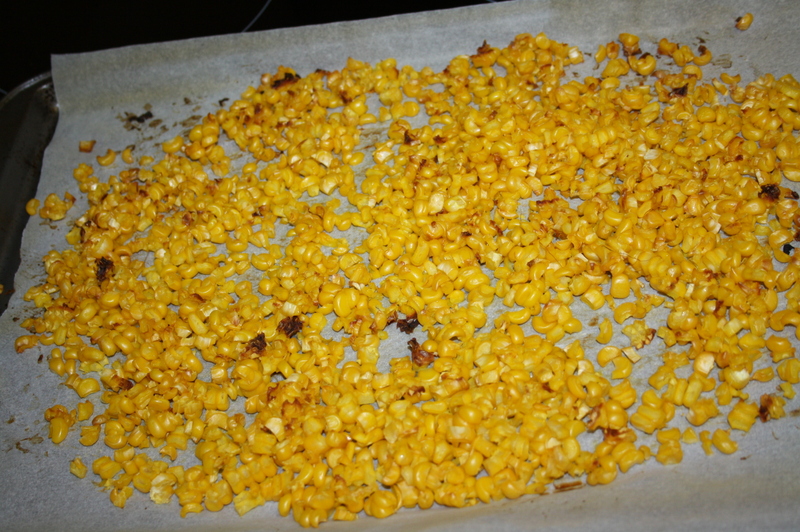 Place the corn kernels on a baking tray and grill (broil – Is that the right American-English term?) the corn until it is at risk of burning. You should stir it a couple of times during the cooking. 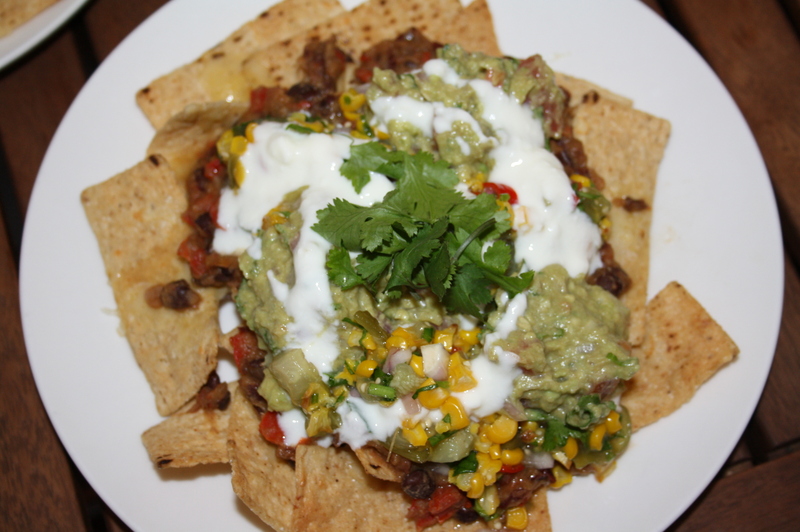 The salsa is sooooo much better than your usual jarred salsa for nachos, it is absolutely worthwhile. On the most amazing nachos I’ve ever eaten. 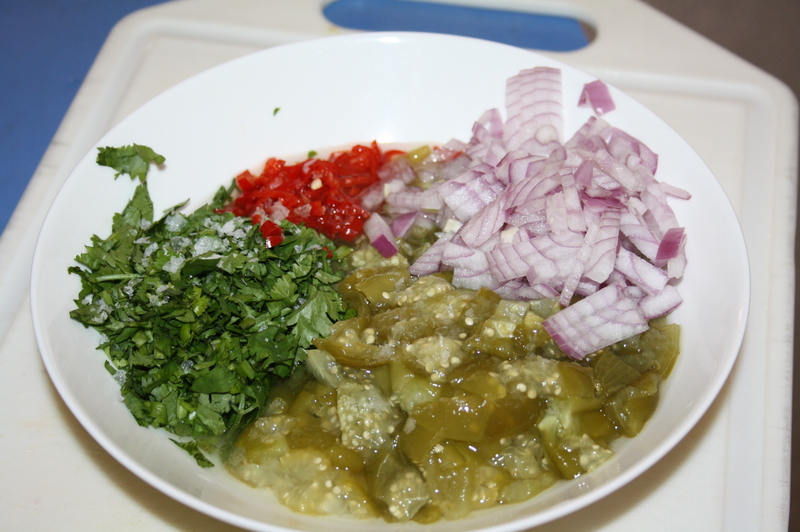 This entry was posted in Dips, Healthy and Tasty, Main Dishes, Snacks, Vegan and Delicious, Vegetarian and tagged Chilli, Coriander (Cilantro), Corn, Onion, Tomatillo. Bookmark the permalink.